← Moral Law Universal or Not? Book: Rev. 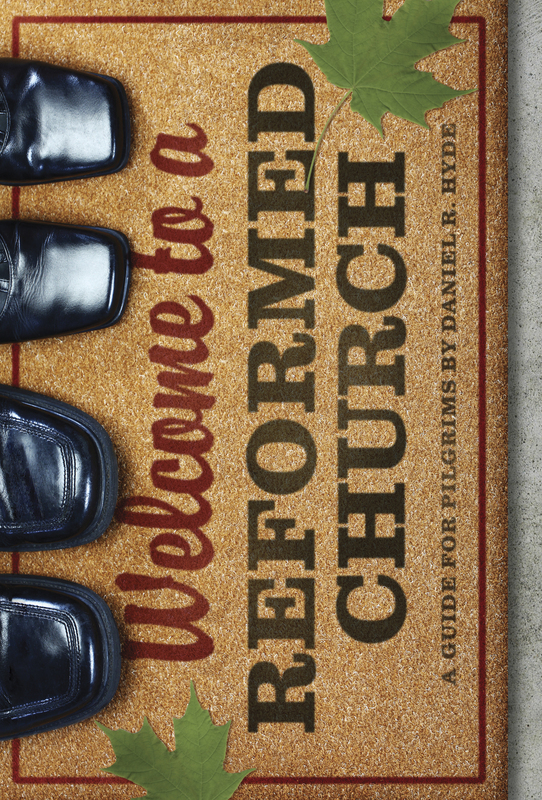 Daniel Hyde, Welcome to a Reformed Church: A Guide for Pilgrims. (Reformation Trust: Orlando FL, 2010). Essentials: Rev. Daniel R. Hyde is senior minister of the Oceanside United Reformed Church in Oceanside, California. He is the author of a number of different books such as; Jesus Loves the Little Children, What to Expect in Reformed Worship, The Good Confession, God With Us, In Living Color, and most recently Welcome to a Reformed Church published by Reformation Trust of Orlando Florida in March, 2010. Welcome to a Reformed Church retails at $12.00 and can be purchased through Ligonier’s bookstore at a number of group prices. Reason: The purpose behind Rev. Hyde’s book is to show exactly what are the “roots” of the real Reformed church, to what the believe, how they live, where they came from and how they worship God. Rev. Hyde hopes to settle the dispute today among American-Evangelicalism what really is Reformed in 3-points, Reformed is Christian, Reformed is Protestant, and Reformed is only Reformed churches, nothing else. Development: Rev. Hyde supports his thesis by focusing in the most important issues dealing with Christianity through its’ history, like: What are their roots, why does the church have confessions, scripture as the final authority, God’s making of covenants with mankind, what is Justification, what is sanctification, what makes a church, what is worship, and how are preaching and the sacraments the means of grace today? Rev. Daniel R. Hyde is the church planter and minister of the Oceanside United Reformed Church, a congregation of the United Reformed Churches in North America, in Carlsbad, California. He is married to his college sweetheart, Karajean, and they have three sons, Cyprian, Caiden, and Daxton. Baptized into the Roman Catholic Church, converted at 17 1/2 in a Foursquare Church, educated at an Assemblies of God liberal arts college, and served as a youth pastor in a non-denominational church while in college, Danny came to experience the joy and assurance that he was justified by faith through the writings of the Puritans. After his undergraduate work in the department of religion (BA, Vanguard University) Danny attended Westminster Seminary California (MDiv) and became the church planter of the Oceanside URC in February 2000, which he has served ever since. Danny is currently a Master of Theology (ThM) candidate at Puritan Reformed Theological Seminary in Grand Rapids, Michigan. His thesis advisor and mentor is Dr. Joel Beeke and his proposed thesis is on a neglected aspect in seventeenth century studies: the liturgical theology of the English Congregationalist, John Owen. Lord willing, he will complete this thesis and graduate in May 2010. Back matter: “Who are these guys?” That was the question the teenage Daniel R. Hyde posed to his father when he first encountered “Reformed” believers. With their unique beliefs and practices, these Christians didn’t fit any of the categories in his mind. Summary: A Methodist would never call himself a Baptist, nor would a Lutheran ever called he a Catholic; it simply would make no sense at all! Better yet, a Lutheran would never call himself a Reformed-Lutheran for only agreeing on John Calvin’s Soteriology. Today in American evangelicalism, with the growth of John Calvin’s Soteriology in many different circles, comes the title in which many New-Calvinist claim, “Reformed.” Rev. 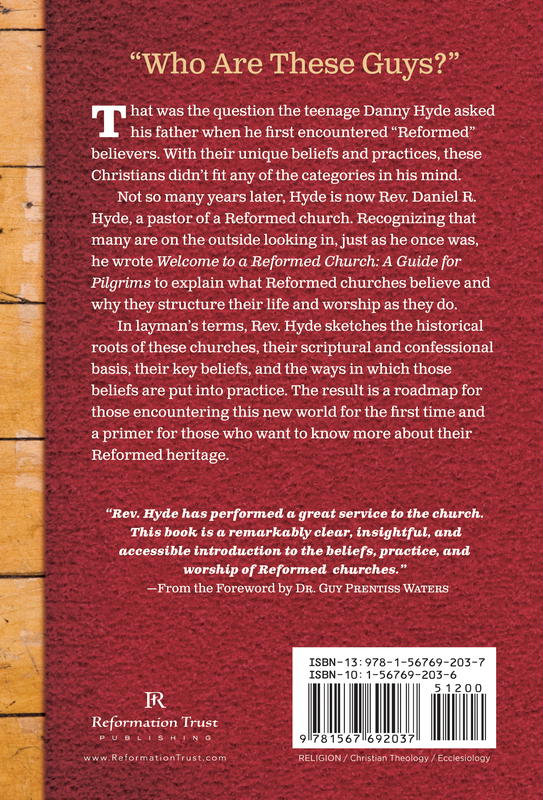 Hyde places the much-needed definition, historical value, and what it truly means to be a part of a true Reformed church. In less than 160-pages Rev. Daniel Hyde defines and gives proof of the much used word “Reformed,” truly means in its’ historical setting and what the Reformed Church is today. Rev. Hyde lays out the foundation, the history, why confessions, and what the doctrine is of a true Reformed Church in today’s culture. If new to the term Calvinism, this book should surely help you understand the true Reformed faith that lies in their churches today. If a New-Calvinist, this book is a must read, so that you understand what it means to be truly Reformed in its’ historical definition, and identity. If in a Reformed Church already, this book will give a great reminder of who you are, what it is you came from, and why you believe the truths of the Gospel in the way you do. No matter where you are at in the Christian Faith, Welcome to a Reformed Church must be read for its’ defining of what truly the Reformed Church is today, and why. No matter if your Reformed, New-Reformed, or nothing at all, reading the book will at least make you wonder why you are what you are, and what you believe in the Christian faith. I wonder what the author would think of my Reformed church. Everything has its own unique flavor in Montana.